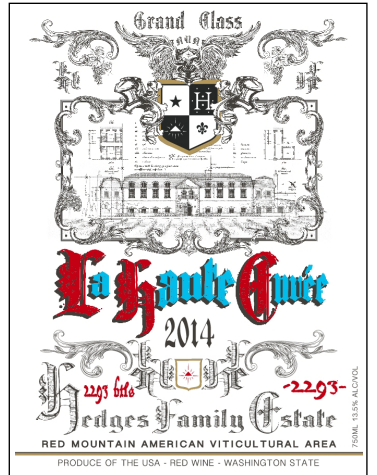 Last week I served a bottle of Hedges Family Estate Red Mountain 2008 to a few friends. It was excellent. A blend of Cabernet Sauvignon 38%, Merlot 33%, Syrah 14%, Cabernet Franc 11% and Malbec 6%. And as you mentioned it was neither Bordeaux nor a big California Cab based red. I have been told not use this word in describing wines, but it was ELEGANT. It has many years ahead of it, but was, alas, my last bottle.